addressing the root-causes of conflicts for promoting and safeguarding the interests of women in conflict situations, and urged the UN Security Council to continue dealing with the issues of women, peace and security. Tunisia, have emerged as leaders and consensus-builders, inspiring hopes of peace and prosperity amidst conflict and violence,” Ambassador Maleeha Lodhi told the 15-member Council. sustainable development as peace and development are inextricably linked,” she said in a debate on Women, Peace and Security. remained most vulnerable in situations of armed conflict. The perpetrators of these crimes, she pointed out, included DAESH and Boko Haram as well as states that use sexual abuse as a weapon of war. also had vital roles to play as agents of peace and achieving sustainable development. 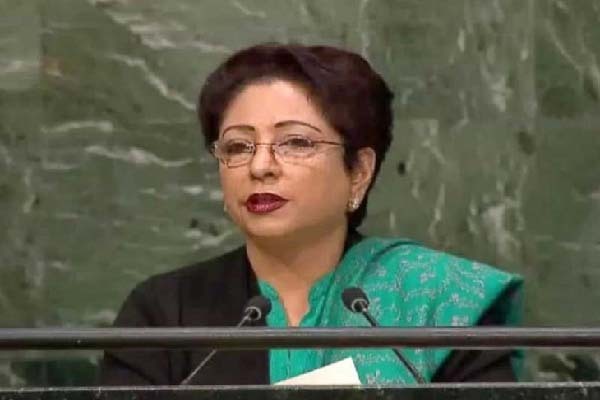 Women’s special skills in mediation made them particularly suited as Special Envoys and Special Representatives of the Secretary-General, she said, adding that Pakistani women peacekeepers had also served as police officers, doctors and nurses in missions around the world. world, Pakistan had allowed Afghan refugees, including women and girls, unhindered access to free education, health care and secure employment, she added.